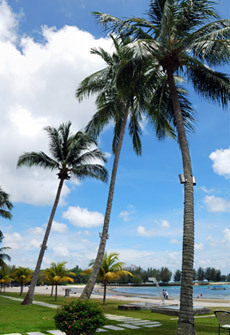 Port Dickson remains a popular holiday destination, especially amongst Malaysians, despite rising competition from other beach destinations such as Tioman and Pangkor. Its convenient location, which is only about an hour's drive from Kuala Lumpur and just a few minutes away from anywhere else in Negeri Sembilan, also lends to its popularity as the preferred destination for a recreational holiday. Port Dickson's primary attraction is its distinctly-beautiful beaches. From the orange sands of Teluk Kemang to the unspoilt beaches of Tanjung Tuan, thousands come here every year just to get some sun on their backs. Other attractions such as Tanjung Tuan Forest Reserve, Fort Lukut, Lukut Museum and Ostrich Farm provide visitors with alternative ways to spend their time here. Aside from being highly accessible, Port Dickson is also popular amongst watersports enthusiasts who would throng here every year for a spot of water-skiing, parasailing and surfing. 2 days 1 night stay or 3 days 2 nights stay. 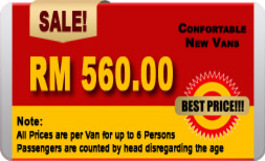 Return KLIA/LCCT/City Hotel KL to Port Dickson Hotels Transfer. For both packages, terms & conditions apply, as well as hotel peak-season surcharge.